Today’s Blogger in the Spotlight is the lovely Heather, of the Ruka and Kuusamo Blog. 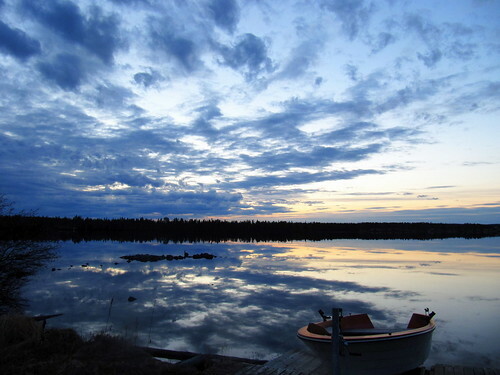 We were completely captivated by her writing as well as the images on her blog and so we asked her to write a guest post for us, about the amazing skies of Lapland. I’m a British expatriate living in Finnish Lapland and since the first moment I stepped off the plane – okay, admittedly the very first moments after getting off the plane were spent thinking things like “oh my God, how flipping cold is this place?” and “I really wish I hadn’t packed my hat in hold luggage” – since almost the very first moment I stepped off the plane, the skies and the light of this strange and beguiling land have held me captivated. Here are my favourite Skies of Lapland, through the year. The light in Lapland is amazing. In the deep winter the sun barely rises above the horizon and the days can be as short as 2 hours long. 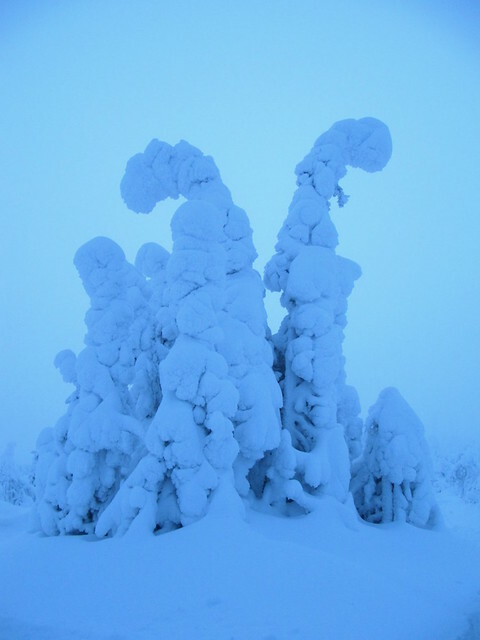 These snow laden trees, bent under the weight of the snow into strange snow sculptures, are cast in the eerie blue light of Kaamos which reflects off the white snow in the deep winter months making the world look surreal and otherworldly. When the spring and early summer come the days are already around 20 hours long, the sun setting for just a few hours in the middle of the night and the skies are never truly dark. This photo was taken at 1am last week during 2 hour point between sunset and sunrise. 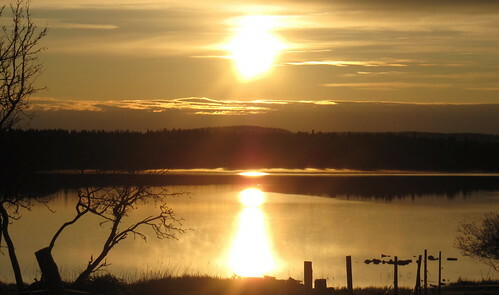 By midsummer, at the end of June, the sun is in the sky for 24 hours a day and it’s as bright at 2am as it is at 2pm. This photo was taken at 2am on Midsummer Eve last year. During the summer these hours are the best part of the day to be awake. Everything is bright and sunny and yet there is little sign of human life. Pure silence settles over the land broken only by the sounds of bird call and the distant rushing water of the river. With the autumn comes amazing sunsets of fiery reds and golds against the darkening night sky. Typically during this time of the day the lake is calm and the reflections off the still water are exquisite. And then comes winter again. The deep and even snow and the magnificent natural phenomenon of the northern lights undulating overhead. 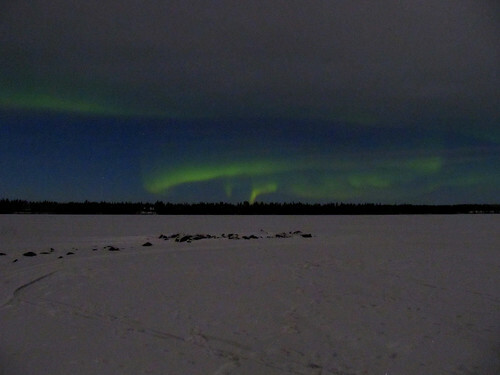 Perhaps the most striking thing about the northern lights, apart from the intense colours, is the silence. It seems wrong somehow that something as astounding and breath taking as the Aurora Borealis could happen under complete silence. Heather Sunderland is an expat Brit living on a farm in Kuusamo, Finnish Lapland. 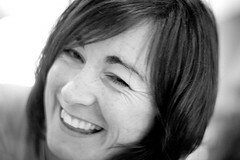 She’s a freelance writer, mother to two bilingual children and blogger extrodinaire. She writes the Ruka and Kuusamo Blog about life in Lapland and all the amazing stuff to see and do there. She can be found tweeting at @ruka_kuusamo. Previous articleA Colorful Brazilian Bahia Party ! Stunning view…. and northern lights!! One of my dear friend is fron Finland and he is the first Finnish friend I’ve ever met. 🙂 Since then, I have this wild dream about northern land. Good job both of you!! 🙂 Enjoyed the post! Glad you enjoyed it. It really is a fantastic place. The northern lights are incredible. What beautiful pictures! 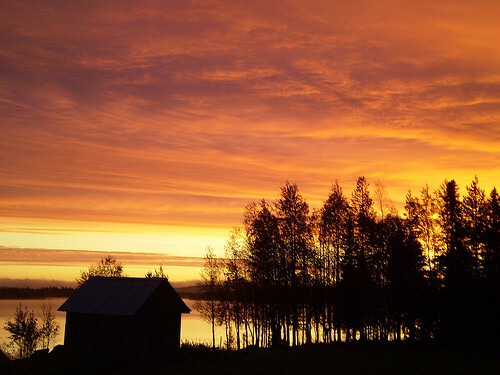 I was in Swedish Lapland a few months ago and fel in love with the place but not sure I could live somewhere so remote! wow, stunning photos, especially the colours. also, that reflection is off the hook! pretty keen on getting out to see the northern lights one day. this post is definitely encouraging that thought. These photos are AMAZING!!! Love the skyline. It must be hard to get to bed when the sun only sets for 2 hours. We experienced that in Alaska when we were camping in Denali, but it was only for a week-long trip. What a gorgeous set of shots. I like the fact that they take you through the seasons. Great shots 🙂 Love your blog!